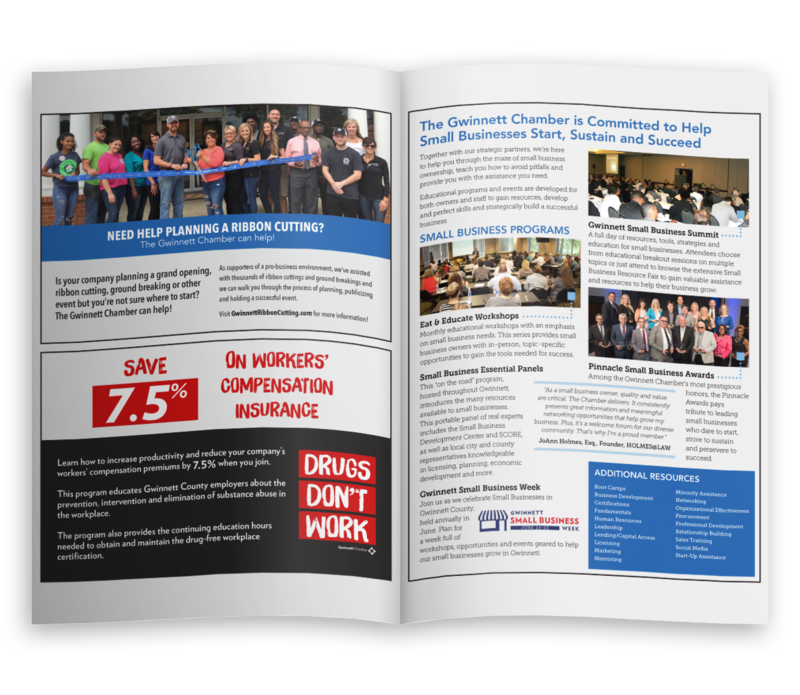 The Gwinnett Chamber offers several options for our members, as well as non-members, to promote their business by advertising in the Chamber’s printed publications and on its online publications. Each month, the Gwinnett Chamber mails a welcome newsletter to every new business that applies for a business license with Gwinnett County. Be among the first to promote your business to this unique audience. Set your business apart with Enhanced or Deluxe Web Directory Listings on the Gwinnett Chamber online Business Directory. Contact your regional account representative today or call 770-232-3000. Get your message out to Gwinnett’s most influential business leaders in a new and dynamic fashion. Your ad will be rotated with Chamber promotional information ensuring that readers will see your ad as they spend time reading about upcoming events at the Chamber. Distribution – Approximately 10,000 impressions per month to high-profile successful business and community leaders. Several receptions are held in this lobby each month providing you a captive audience. Audience includes Chamber members, Explore Gwinnett dignitaries, 1818 Club patrons, Frankies customers and more. Partnering with the Chamber and other business leaders creates a positive and credible perception of your organization. Stand atop the business crowd by sponsoring one of Gwinnett’s most popular websites. The Chamber website features vital, up-to-date information on the Chamber, Gwinnett County, Economic Development, and Current News & Events. 11,000 Pageviews per month*! Visited by thousands of users from all over the world, the Chamber website gets your company image in front of business leaders, newcomers, entrepreneurs, and community officials. Be one of only a select few. Opportunities are very limited. Web advertisers receive exclusive exposure. Get maximum exposure within the influential circle of Gwinnett County business leaders. Target a specific section or take advantage of complete exposure by sponsoring every section. This is the most comprehensive community website in Gwinnett. Showcase your organization and the Gwinnett Chamber with pride. Members support each other, so when the Chamber grows your organization grows too! 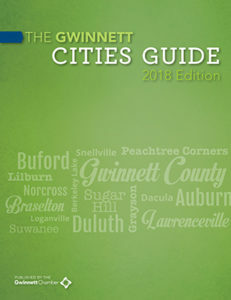 The Gwinnett Chamber offers the community several unique, annual publications containing articles and information of interest to newcomers, businesses and residents of Gwinnett County. These publications are ideal advertising venues for our members. For advertising information, please contact Pam Ledbetter at Accent Creative Group (o: 678.407.8820 or c. 404.242.8272). The Gwinnett Chamber Cities Guide explores and uncovers the many gems of the county that help to make Gwinnett a great place to live, learn, work and play. There is no place quite like Gwinnett and each of the cities located within the county contribute to the area’s uniqueness and desirability. 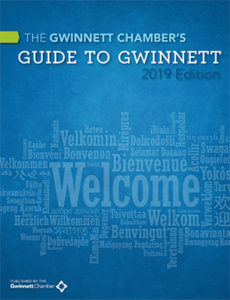 Celebrating more than 20 years, the official Guide to Gwinnett has become a valuable resource for new businesses, employers, families and visitors. Inside you will find information on local government, careers and businesses, lifestyles and entertainment, education, healthcare and many other community assets, as well as opportunities to become engaged in Gwinnett.